Q1: Tell us briefly about yourself and your work. AG: I am the Resilience Engineering Lead at One Concern, a Palo Alto-based benevolent AI company, with a mission to save lives and livelihoods before, during and after disasters. I have been involved with One Concern for almost 3 years, essentially since the company’s inception. I developed the resiliency framework that lays out the conceptual architecture for us to meet our vision to achieve planetary-scale resilience, quantify it at a community level, and constantly improve resilience over time. As part of this effort, I have created specific metrics for measuring how access to critical resources is impacted in disasters and to identify those communities that are most at risk before, during and after disasters. Besides working on resilience, I have also contributed to development of our Seismic product to estimate near real time impacts in an earthquake, created evaluation metrics for our machine learning models and set up the simulation pipeline to generate earthquakes for preparedness trainings and mitigation policy design. Prior to One Concern, I completed my PhD thesis from Stanford on creating the framework to estimate community level seismic risk from man-made or induced earthquakes, with a case study implementation in Oklahoma. As part of this framework, I implemented and developed novel statistical methods to quantify how seismic rates change over time with changes in oil and gas extraction processes responsible for causing these earthquakes. Prior to my PhD, I worked as a structural design engineer at Magnusson Klemencic Associates in Seattle and was responsible for the design of an iconic building in Boise – Jack’s Urban Meeting Place – along with helping out with design of buildings in San Francisco, Delhi and Kuala Lumpur. Q2: I had not previously heard of “resilience engineering.” Tell us a little bit about that field. Is it new? How many people worldwide graduate with a degree in resilience engineering? AG: As far as I am aware, resilience engineering is not a degree offered by universities. Through our work at One Concern, we realized that most of the work around disaster impacts occurs in silos by hazard or by field of study, while resilience is an inherent characteristic of communities that spans across both expected disasters and unexpected events and across many fields like risk engineering, economics, data science, behavioral analysis, policy and education, urban design and social sciences. As a result, we decided to create this position and team at One Concern to focus on holistic resilience analysis. At One Concern, we have defined Resilience as the ability of communities to maintain their normal functionality and to adapt and grow in the face of acute shocks and long term stresses. We are also starting to see universities like Stanford, Harvard and MIT create multi-disciplinary programs to bring together experts from different fields and companies to work on resilience. Q3: What is the story behind the founding of One Concern? AG: One Concern spun off from a machine learning project in Andrew Ng’s class at Stanford. The co-founders, Ahmad Wani, Nicole Hu and Timothy Frank along with Yawar Aziz demonstrated in that project that rapid damage assessment after earthquakes was possible using available data and machine learning. Ahmad was also motivated to help people during disasters from his recent experience being stuck on his roof while floods in Kashmir inundated his town. Combined with the success of their project and encouragement from Andrew Ng, One Concern was founded to rapidly measure impacts after disasters, prepare for and mitigate against them and thus save lives and livelihoods. Q4: What sort of open data do you use for your models? And what type of data do you (One Concern) collect on your own? AG: We use a combination of open data, proprietary data and our self-collected data. Our open data sources include the US census data that we use for understanding demographics and building inventory, weather forecast data to estimate flood inundation and USGS earthquake data to simulate earthquakes. One Concern has also created a Digital Anthropology team which is tasked with collecting disaster relevant data from across the world. Some of the regions where our team has been deployed include Bogota to collect data about buildings, demographics and socio-cultural parameters, and Mexico City and Lombok to collect post-earthquake damage data. We use a variety of data collection tools like apps, cameras and remote sensing imagery. A critical component of data processing for us is that individual sources do not accurately capture the required features of our models. As a result, our data processing team uses several statistical and data mining techniques to augment data from different sources to ensure that the final datasets represent the ground truth. 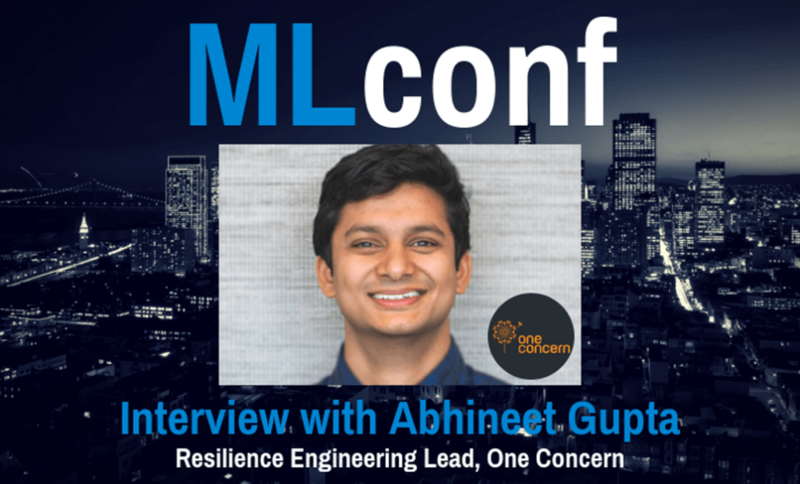 Abhineet Gupta is the Resilience Engineering Lead at One Concern. He works on quantifying resilience through cities’ abilities to withstand stresses and shocks from natural and manmade disasters, and to provide the technological solutions to increase resilience. 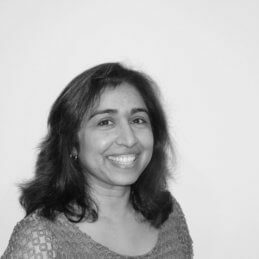 Abhineet graduated from Stanford in 2017 with a Master’s and PhD in earthquake engineering and PhD minor in Computer Science with a focus on artificial intelligence. For his PhD, he developed tools to evaluate seismic risk from man-made earthquakes in regions like Oklahoma. Before his PhD, he worked as a structural design engineer at Magnusson Klemencic Associates in Seattle and designed buildings in Boise, India and Malaysia.